Each spring, I look forward to seeing all of the interesting new trends for the upcoming wedding season. What sorts of colors will be popular this year? What types of flowers will brides use in in their bouquets? All of the fresh, creative ideas serve to inspire me in my own floral designing work. If you’re getting married this year or you have a friend who is, you may want to check out some of the trends for wedding flowers in 2015. 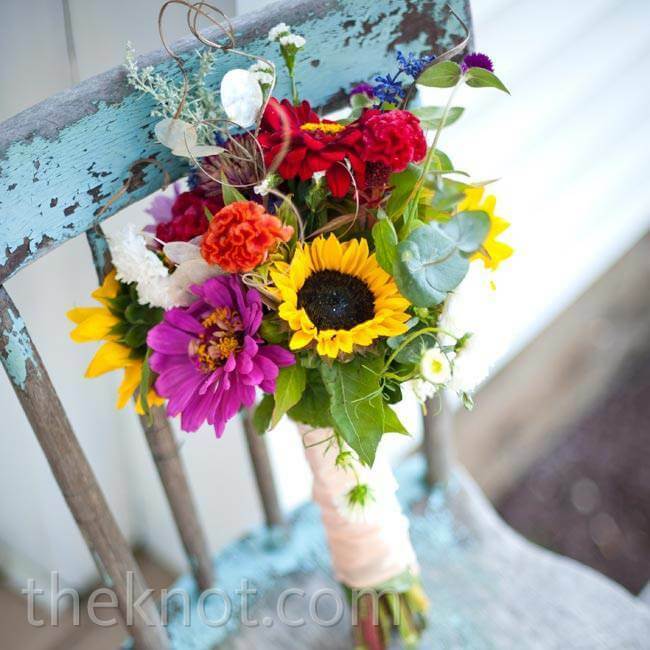 Bridal bouquets of wildflowers are very popular this wedding season. Many brides are choosing to incorporate a few lovely wildflowers into a traditional bridal bouquet. Other brides are opting for an entire bouquet of wild blooms. Either way, you’re sure to see daisies, grape hyacinth, Lily-of-the-Valley, Queen Anne’s lace and other wildflowers at more than a few weddings this year. Another trend for bridal bouquets involves flowers of differing sizes and shapes. Brides in 2015 aren’t looking for a perfectly shaped bouquet. Instead, they may want a bouquet featuring oversized sunflowers surrounded by several long stems of white Veronica flowers and Bells of Ireland. Many of this year’s brides are including wildflowers with special meaning into their bridal bouquets. Many of this year’s wedding flower trends are showing up at receptions. Instead of going with the traditional vase and flowers on each table, some brides are getting creative. They are using unique wine bottles as vases and filling them with long stemmed wildflowers. This is an appealing touch and can help a couple save on their wedding budget. 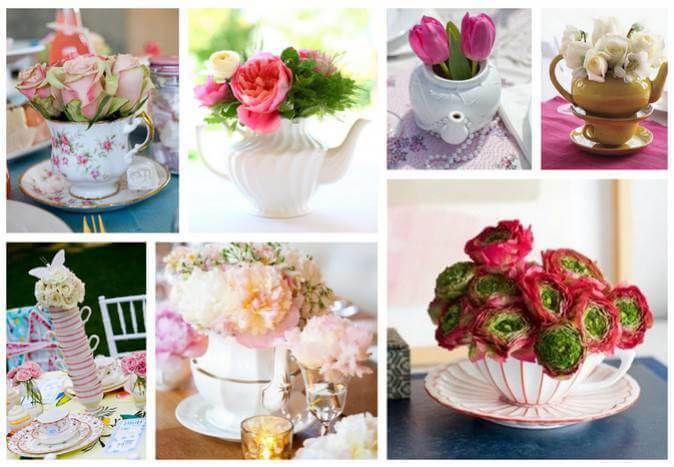 Beautiful, antique teapots brimming with blue hyacinths, pink hydrangeas and purple or yellow irises will also be showing up on many wedding reception tables this year. 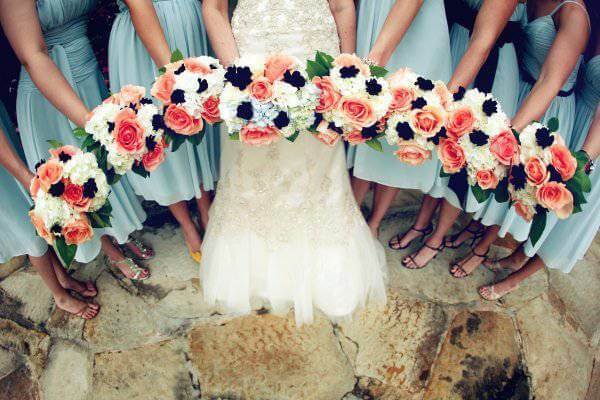 There are many brides in 2015 who want to wear flowers as well as carry them. A flower crown is a popular favorite this year. Some brides may wear a crown full of daisies, blue cornflowers and sprigs of lavender while others create a crown featuring classic red roses and baby’s breath. Hair clips and barrettes embellished with flowers are also a growing trend. A bride who wants to wear her hair down may enhance that look with a barrette featuring a large sunflower or two quaint daisies. The color of a flower can complement a bride’s hairstyle or even her hair color. Brides in 2015 are saving money by creating their own bridal bouquets. They simply purchase several loose stems and gather them together with thick ribbon to make a bouquet. This can be done with hydrangeas, irises, roses or tulips along with practically any other type of flower. 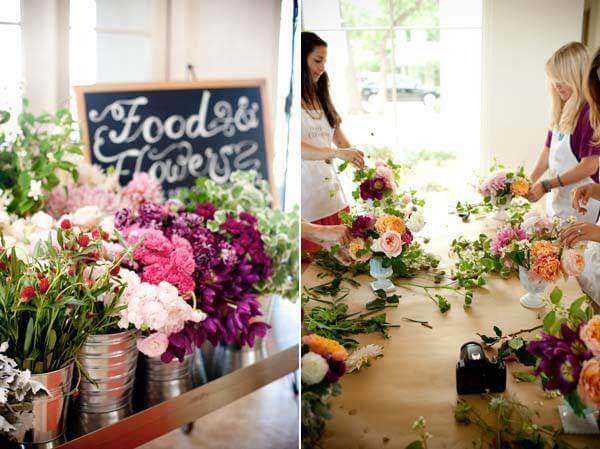 This year’s brides are also saving money by choosing flowers that are in season and therefore not as difficult to obtain. In addition, brides are selecting colorful carnations and other less expensive varieties of flowers for their wedding bouquets and arrangements. Feel free to take these wedding flower trends and make them your own!